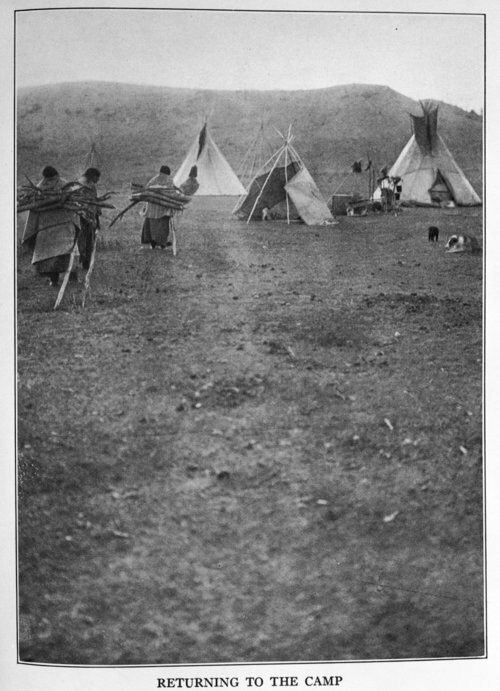 This is a photograph of Cheyenne women returning to their camp. The women have tree limbs strapped on their backs. Three tipis and several dogs are also visible in the image. This photograph was copied from Cheyenne Indians by G. B. Grinnell, volume I, page 80. Funds for digitization provided by Mr. Steve Peckel in memory of William Chalfant.